If you are on a strict diet or looking something with fewer calories than Polish diet is not for you. A traditional Polish meal usually has enough calories to keep you satisfied all day, but once you get past that mental barrier, you will not stop after the first bite. Owing to the extreme weather conditions in the country, Polish cuisine is rich in various kinds of meat – pork, beef and chicken and is also known for the famous sausages. The Polish prefer to enjoy the natural taste of their food and hence keep spices to a minimum. The basic ingredients used in a Polish meal are – beetroots, sauerkraut, cucumbers (pickles and gherkins), mushrooms, sausages, kohlrabi, sour cream and different herbs. This flavoursome cuisine has become a hot favourite of many. The oldest written cookbook on Polish cuisine is the ‘Compendium Ferculorum albo zebranie potraw’ by Stanislav Czerniecki in 1682. During the Middle Ages, a typical Polish diet was based largely on agricultural and farm produce. Owing to the weather conditions in the nation, salt has become a primary preservative and had enabled the families to preserve the food for about 3-4 months. Another factor that largely affected the food was the dense forests in the country. Slyvan fruits like berries continue to dominate the taste buds even today. Wild mushrooms were also eaten by Polish with great joy even though they are undervalued in western Europe. 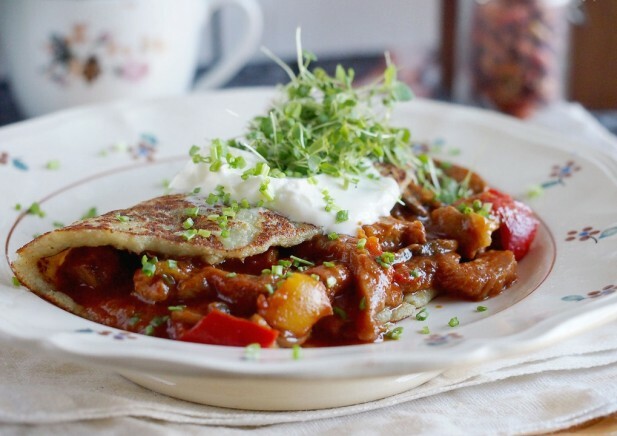 It is a thin pancake made with grated onion, parsnips, carrot and other vegetables. It is best tasted when eaten with a dollop of sour cream or sprinkled sugar. Dumplings are made up of thinly rolled dough and can have a variety of fillings. The most popular ones are meat, sauerkraut and mushrooms, seasonal fruits, buckwheat, cheese and fried onions. 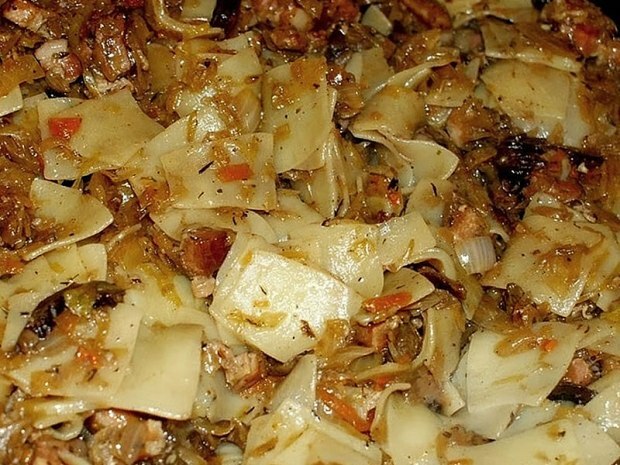 This is the traditional dish that is served on Christmas in almost every Polish household across the globe. 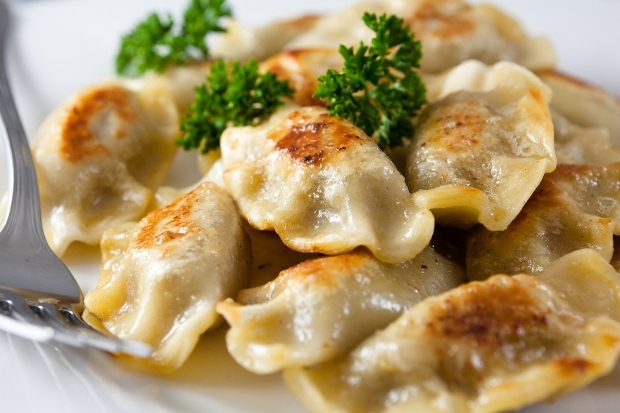 Although Ukranian in origin, barszcz has found its way into every Polish’s heart and stomach. 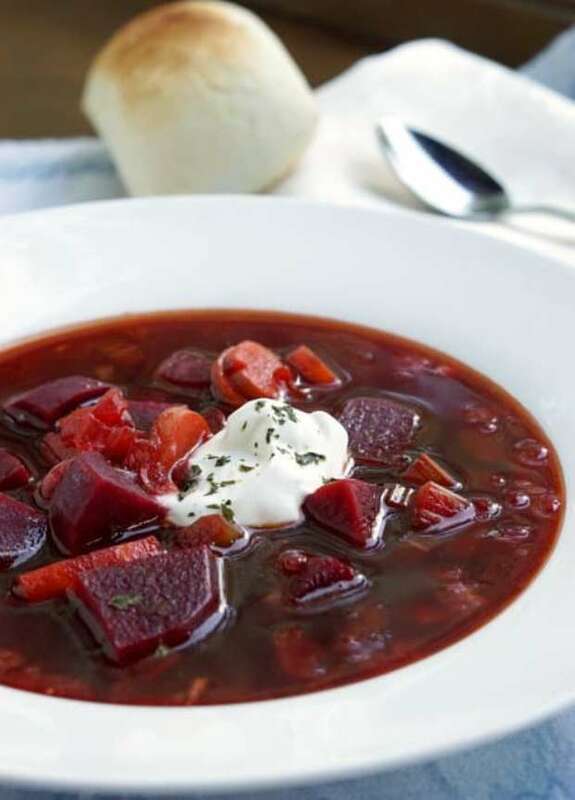 It is a soup with beetroots as the main ingredient which gives it the distinct taste and red colour. The dominant taste in the dish is sweet and sour which is obtained by adding fermented beetroots. A type of pasta made by stuffing wheat, rye, buckwheat and rolled into smaller cutlets. The name has been derived from the Italian dish ‘lasagna’ and the pasta is a diminutive form of lasagna. The dish was introduced in the country in the early 21st century by an Italian queen and has amalgamated with the local cuisine. A traditional sweet delight, this is typically served in the weddings. 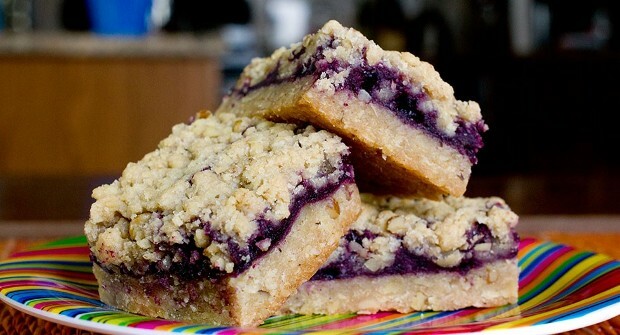 The secret ingredient in this pastry is the blueberry vodka that spikes the taste of the blueberry filling inside. Despite the limited access to seas during the wars in the 20th century, Polish food has spread across various countries. Polish immigrants who moved out continue to enjoy a scrumptious Polish meal on holidays and weekends and are getting major gluttony goals for others to try.